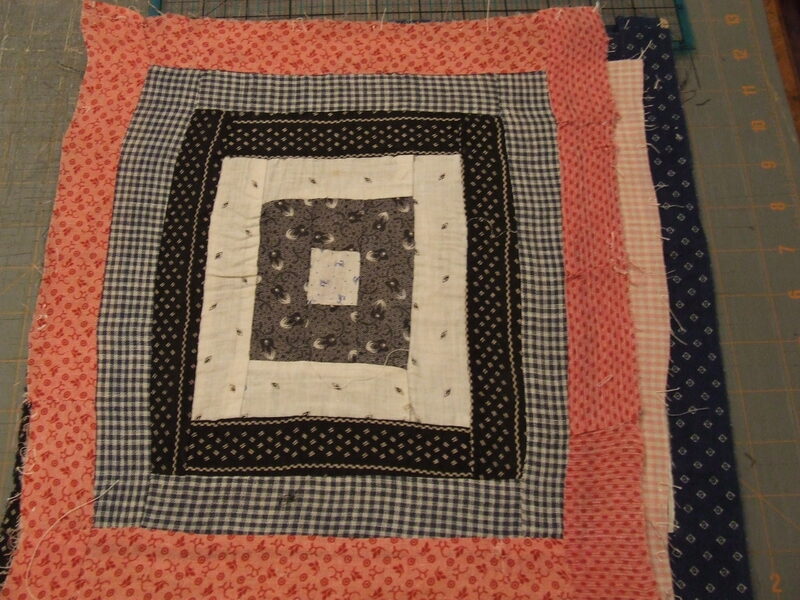 Remember this quilt top that I got a few days ago…..I could not resist starting work on it. The first step was to separate all the blocks and press them to see what I had to work with. 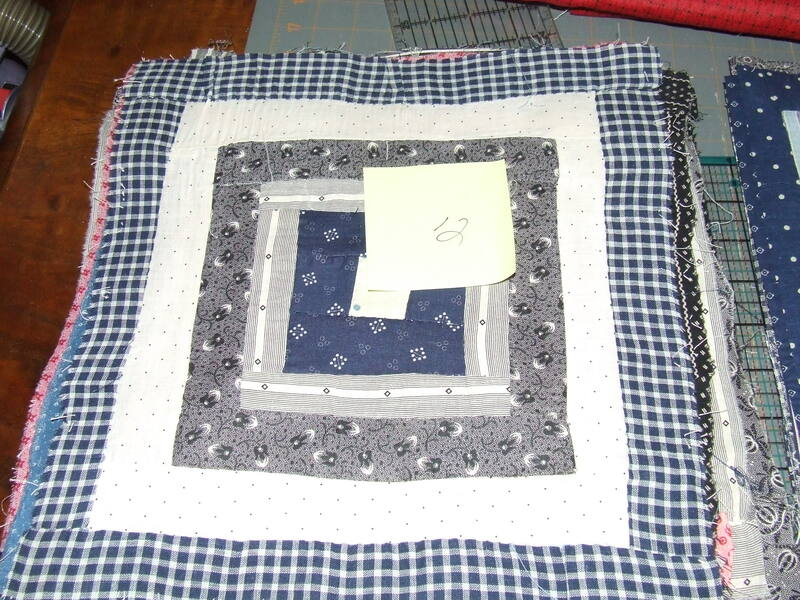 The blocks are so very uneven and irregular that I will have my work cut out for me putting this back together! the difference is about 2″…no wonder the top didn’t lay flat! there are 3 blocks there….bottom is blue, then pink check, then double pink….and no straight lines in sight. 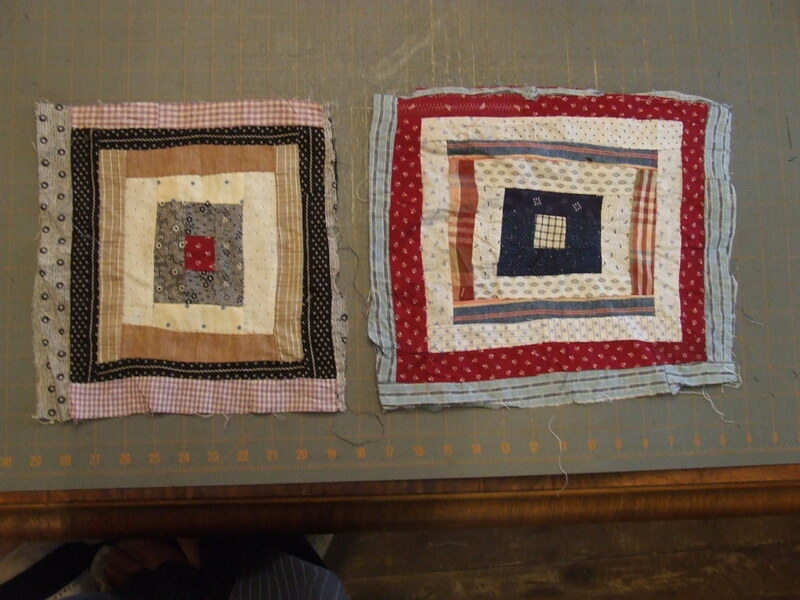 I don’t want to take apart the blocks and re-do them….I want to leave the top as close to the original makes work as possible, this is a restoration not a re-design…but I do want to make it flat and quiltable. and some will be 12″…I think I can make that work. the lengths will all be different but as long as each row turns out to be 92 inches total after they are sewn together I will be able to re-attach the red fabric and have a flat top. 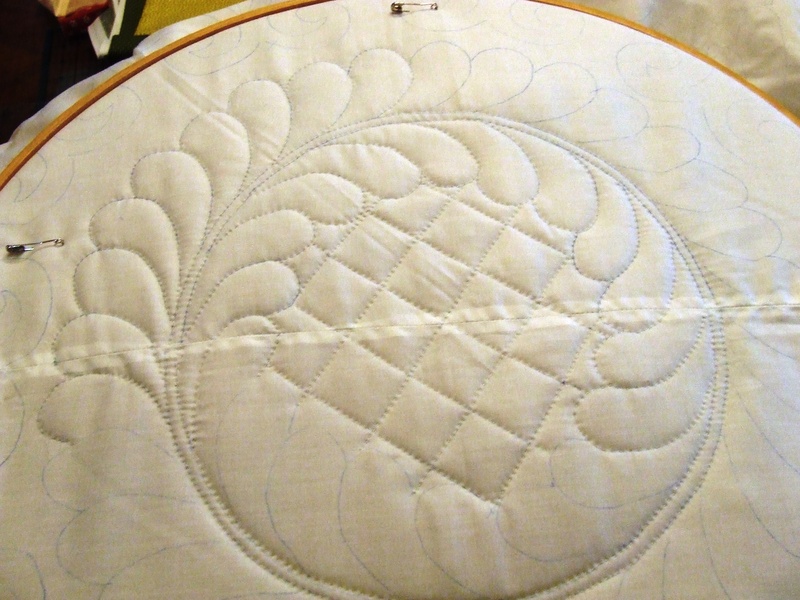 If I need to add some additional length I can add a strip of vintage fabric (essentially another log) to a block or 2. 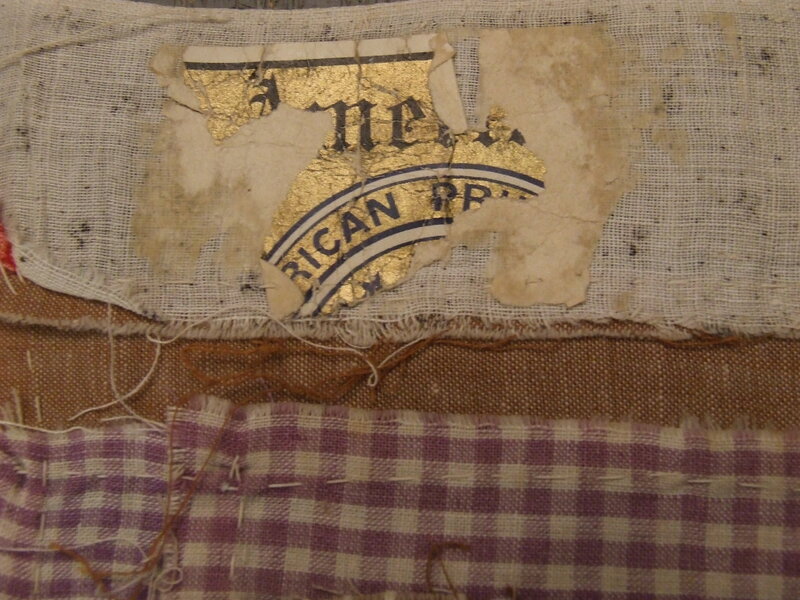 I did find that a few of the blocks still had the fabric label attached to the back. 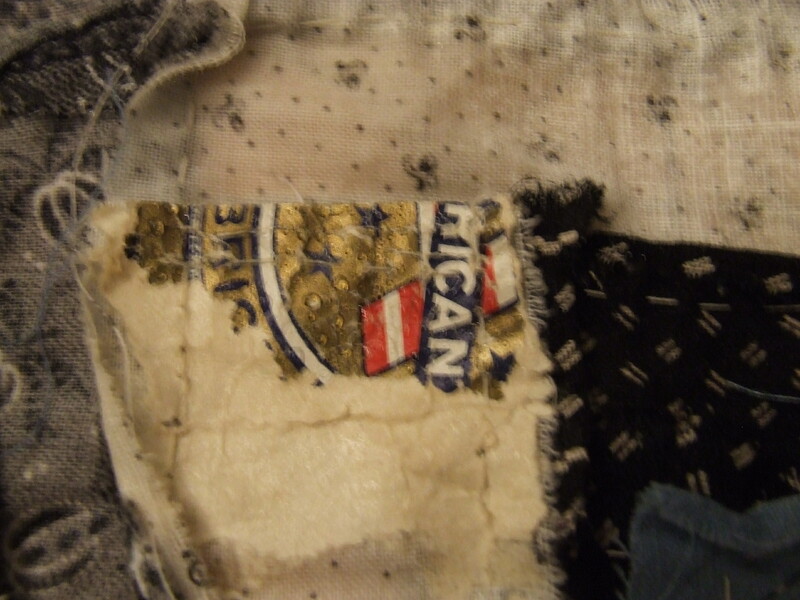 Today fabric has the “label” right in the selvage…lots of writing in there…old fabric had a sticker , and this quilter didn’t bother to take it off. Pressing vintage blocks is sometimes a challenge. These blocks are all far from square but I can get them a bit closer to square if I spray them with water and then pin them down to the pressing mat as close to square as I can get them and then press. The other part of pressing fabric this old is that there is often a lot of starch in the fabric…starching was a fairly common part of ironing so many blocks are loaded with it….why would that be a problem? 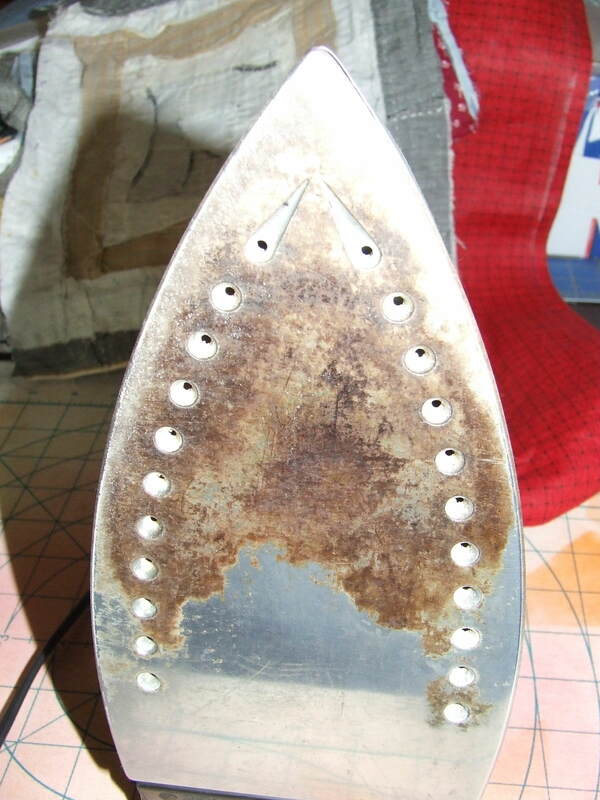 look at the iron! A good cleaning is on order when the project is done. 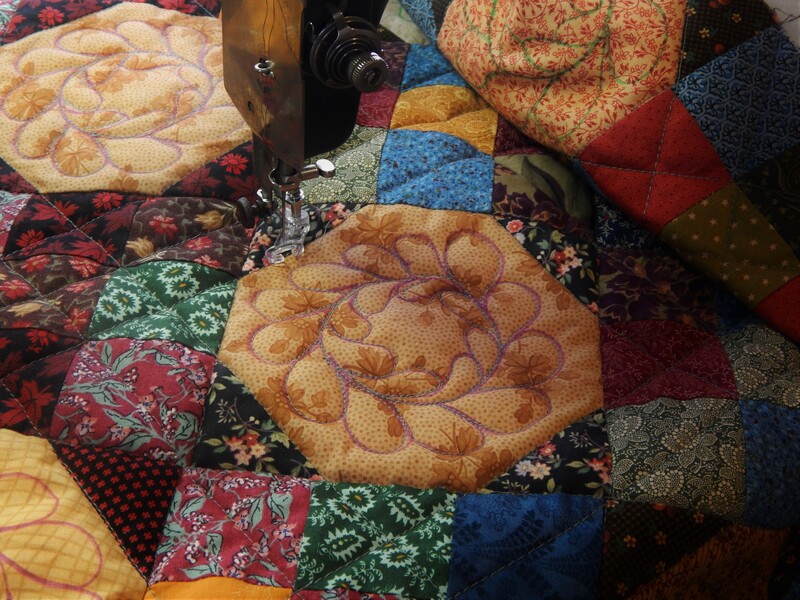 This entry was posted in Quilts and tagged antique quilt tops, quiltinh, Quilts. 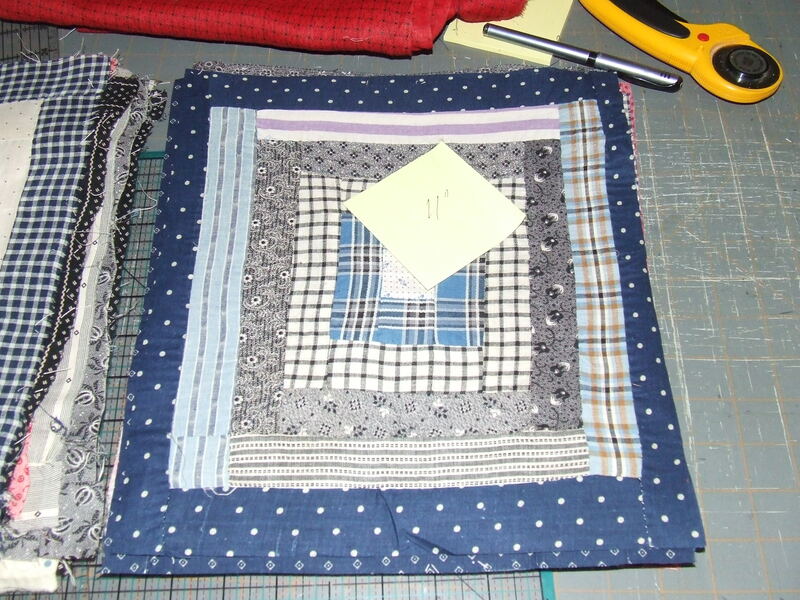 Oh goodness Tim, quilt blocks just sashay up to you and have their way with you! 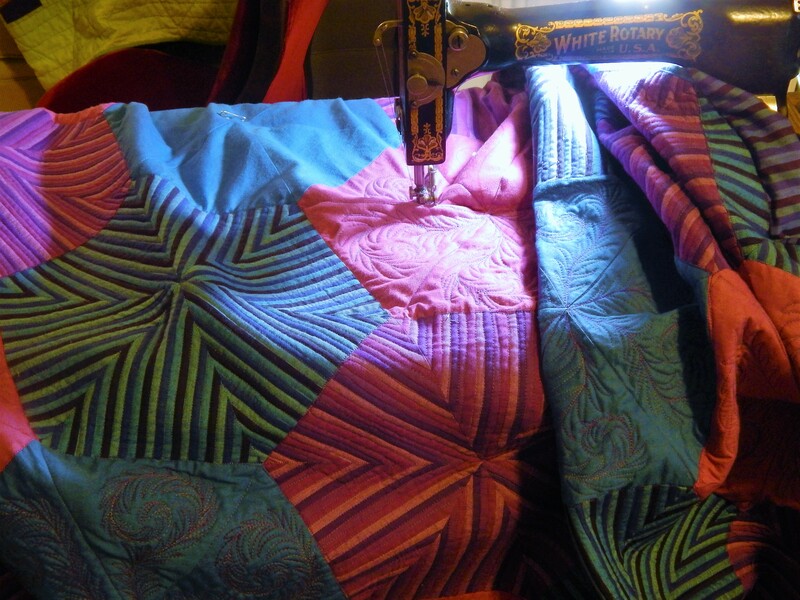 And these blocks are simply irresistible — those fabrics are just so terrific, it’s like tickling Teddy’s tummy. So excellent. That starch is scary! I guess you son’t want to add a border to each one and then cut the bordered blocks all the same size? Makes it easier to put it all together. Did you not wash/rinse the quilt first? To make sure it’s clean and to take all the starch out? If you didn’t, then it seems as if the stains would be ironed in. 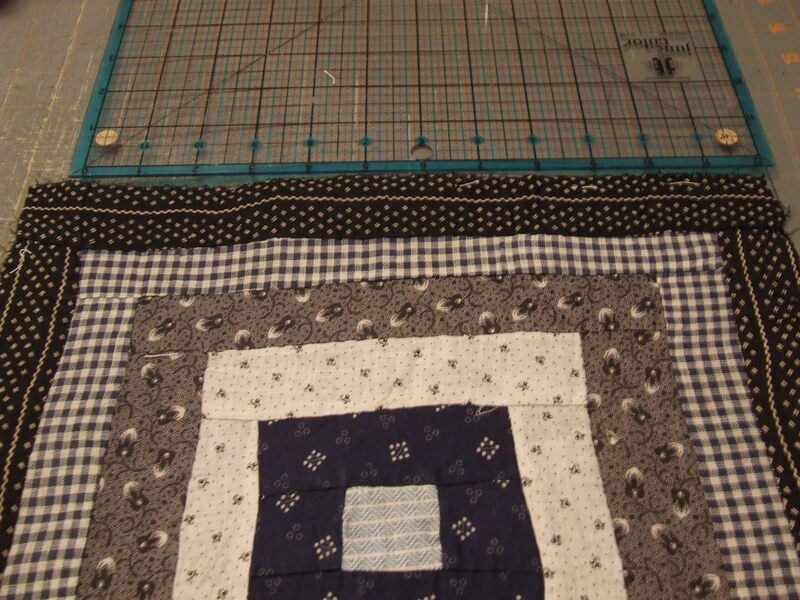 adding a border to each block would substantially change the look of the top and simply make a lot of larger blocks that are all different sizes. I love it! 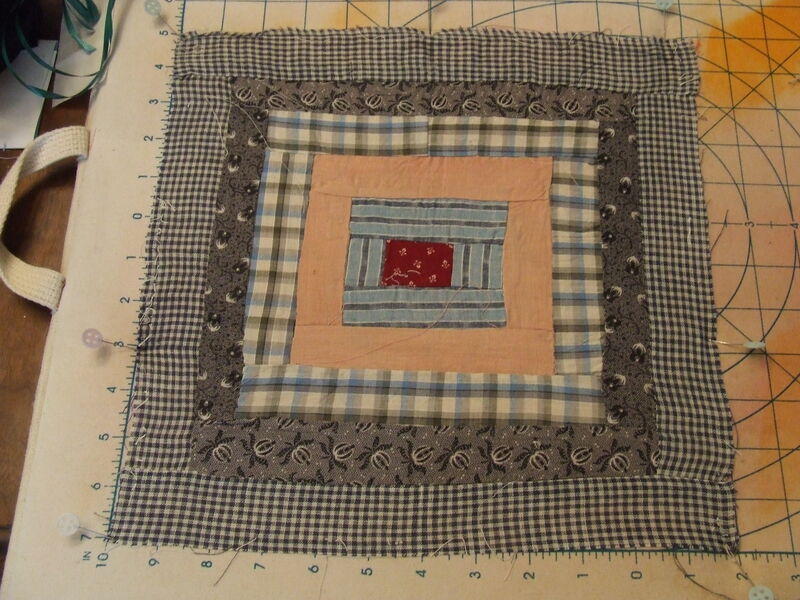 With all the trials of uneven blocks it is so much fun working with old blocks. It is amazing what you learn and how it stretches us to look for new solutions. We live in such a “perfect” world now with all lines of fabric matching, pre-cut kits and everything has to be perfect-no buried points etc. 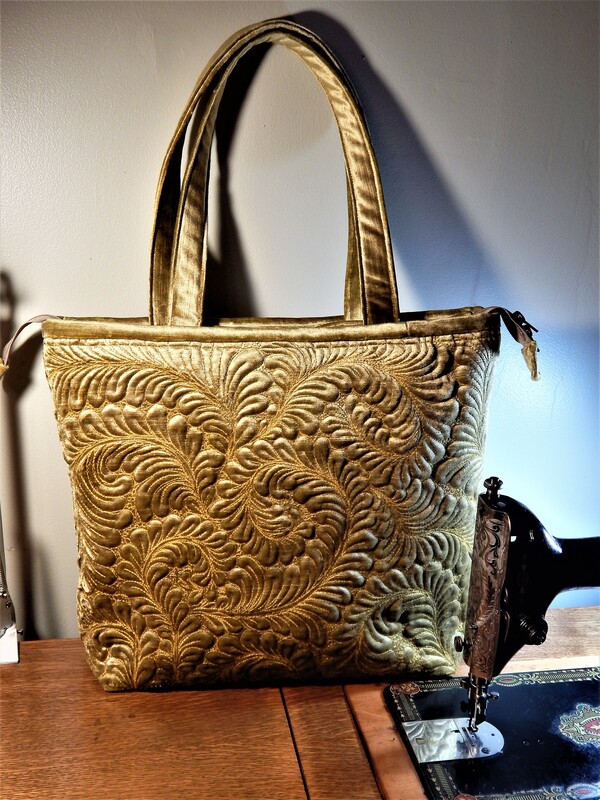 It is really refreshing to tear into a project like this and have to think out of the box. So much more personality than the mass produced kits. WAY TO GO!!!!!!! Great mix of fabric in these blocks. Love the colors. 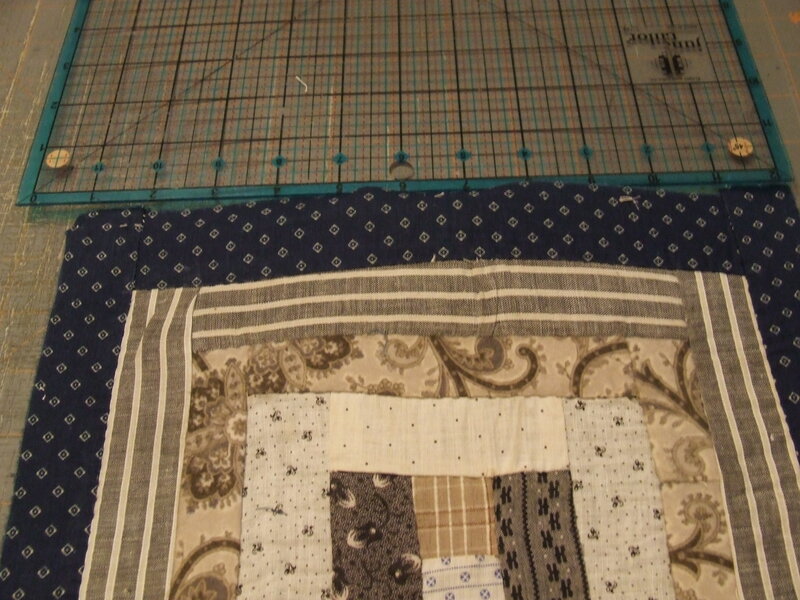 And very good idea to separate the different widths of blocks and then start over. That way you don’t lose the integrity of the initial design. Well you could arrange the blocks so that the total width is the same, mixing large and small blocks in the same proportion in each row so they sort of look the same. That way you would only have to cut minimum amount. Tim, I saw Jesus on that iron. Better not clean it off…..